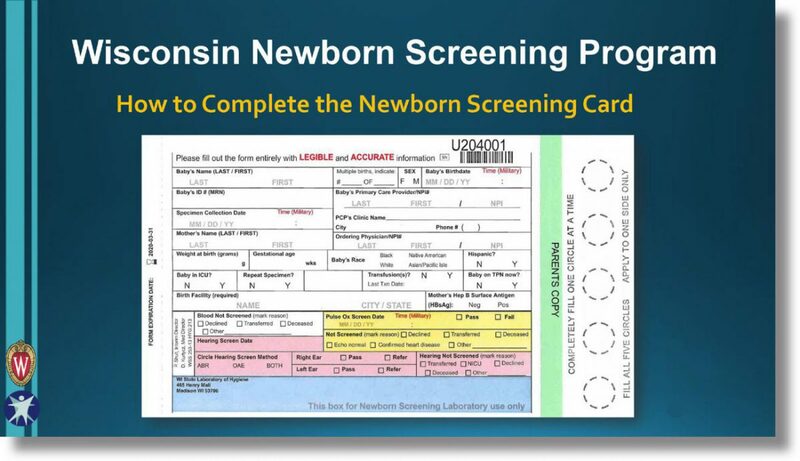 Below are three webinars that provide detailed instruction on how to complete the information requested on the NBS card, collect the specimen, and submit the specimen to the laboratory for testing. 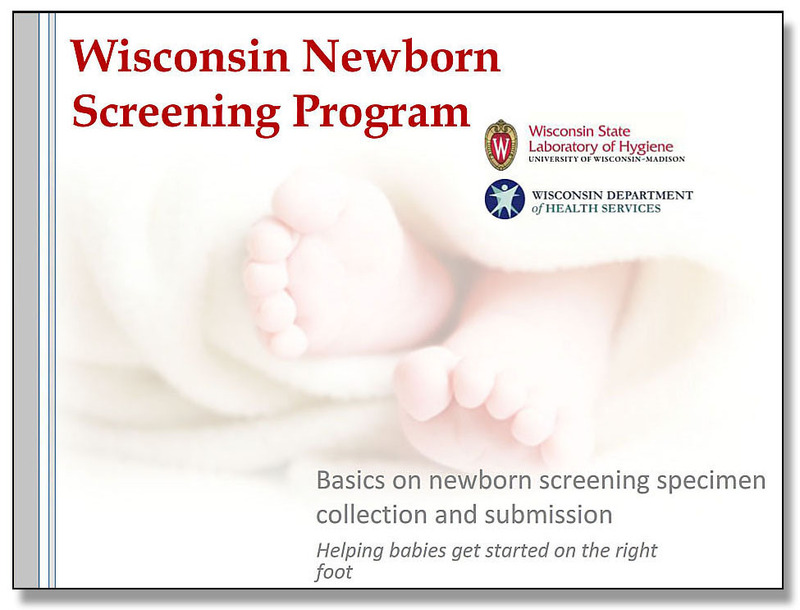 This training webinar provides guidance on proper newborn screening specimen collection and submission. 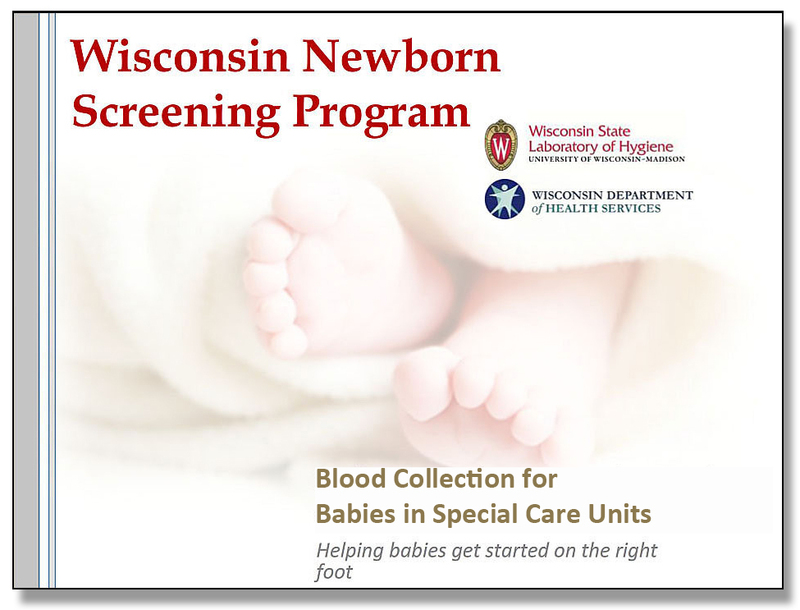 This training webinar is specific to newborn screening specimen collection for babies in neonatal intensive care units. 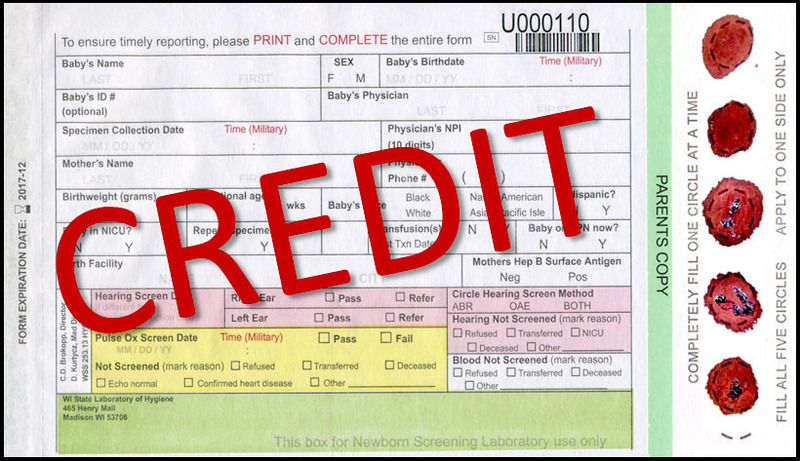 This 30-minute webinar provides instructions for accurately completing each field on the newborn screening car. NEW! 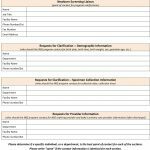 Click for a printable NBS Site Liaison form to provide contact information for your site. Click for a visual chart of the videos’ instructions to print and use in your facility. Click for a chart converting weights and times. Click for the Unsatisfactory Specimen Identification Guide. Click for a chart showing the entire NBS Specimen Collection Workflow. To prevent specimen contamination, do not touch any of the filter paper circles, and always place the card on a clean surface. If hearing or heart screening results are not available before the blood screening is completed, leave those fields blank. Hearing results can be submitted separately through the We-Trac queue. To prevent specimen contamination, do not touch any of the filter paper circles before or after collection. Keep heel in horizontal position (heel down) at or below heart level and warm the heel to stimulate blood flow. Select puncture site and cleanse with 70% isopropanol. Use a sterile, disposable lancet (1.0 mm incision depth and 2.5 mm incision length) to puncture the medial or lateral plantar surface of the foot. Wipe away first blood drop. Allow a second LARGE blood drop to form and apply to surface of filter paper circle. Fill all FIVE required circles from only one side of the filter paper. Once completed, observe both sides of the filter paper to ensure complete saturation. Dry specimen at room temperature 3 hours in HORIZONTAL position. Forward all specimens to the WSLH within 24 hours after collection. Upon receipt, the WSLH will review specimen quality. Any specimen deemed unsatisfactory for testing will be rejected, and a repeat collection will be required. If problems occur during specimen collection, or if the specimen appears to be unsatisfactory, please recollect a specimen as soon as possible. Write CREDIT across the unsatisfactory card (see example) and send it, together with the re-collected card, to the laboratory within 24 hours after collection. The WSLH notifies the submitter. Submitter is responsible for recollection. Repeat collection is expected within SEVEN days after notification. Use a sterile, plain, anticoagulant-free capillary tube. Use a fresh capillary tube for each circle to be filled on the card. Empty contents of the tube quickly on the center of one circle to avoid clotting. Do not scratch, color-in, or repeatedly dab the filter paper with the capillary tube.